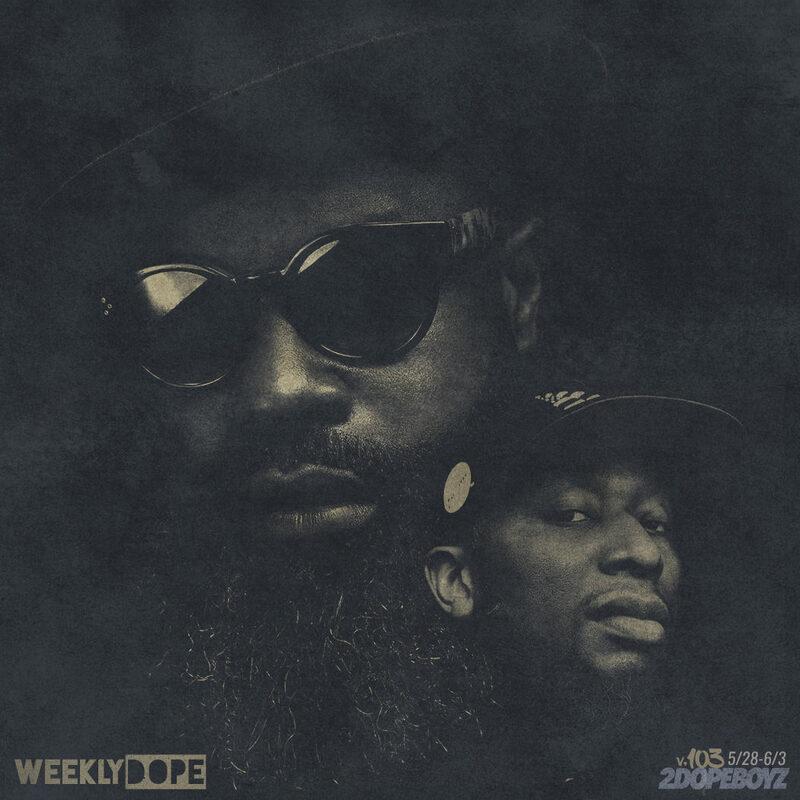 With one week to go before we hit the two-year mark, we’re back with the 103rd installment of our ongoing Weekly Dope playlist. And for the artwork, Black Thought and 9th Wonder get the look for Streams of Thought, Vol. 1. On top of that, Curren$y and Harry Fraud took to the waters with The Marina EP, Kanye West debuted his ye album in Wyoming, and DJ Premier remixed a standout from J. Cole‘s KOD album. Mac Miller made his return to music with a trio of songs, the Gorillaz announced a new album, and Benny the Butcher released his A Friend of Ours mixtape. A$AP Ferg appeared on a few records, King Los and Wiz Khalifa linked up, and Dizzy Wright delivered his first project of the year. Plus new music from Future, Lecrae & Zaytoven, Jedi Mind Tricks, DOOM, and more.